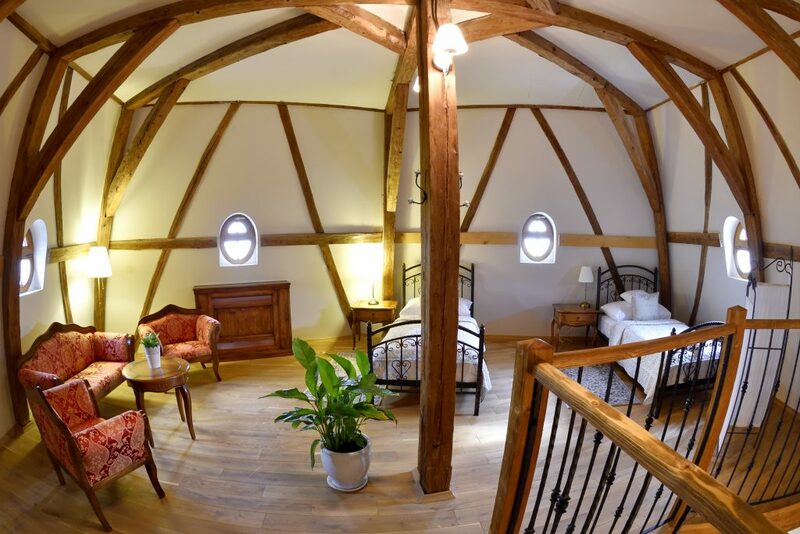 Three maisonette suites are situated on the second floor whereas bedrooms are located in the castle towers with a strengthened roof framing and a new roof. The guests can enjoy the country Provençal and Tuscan style of furnishings with impressive outlook of the broad environs. 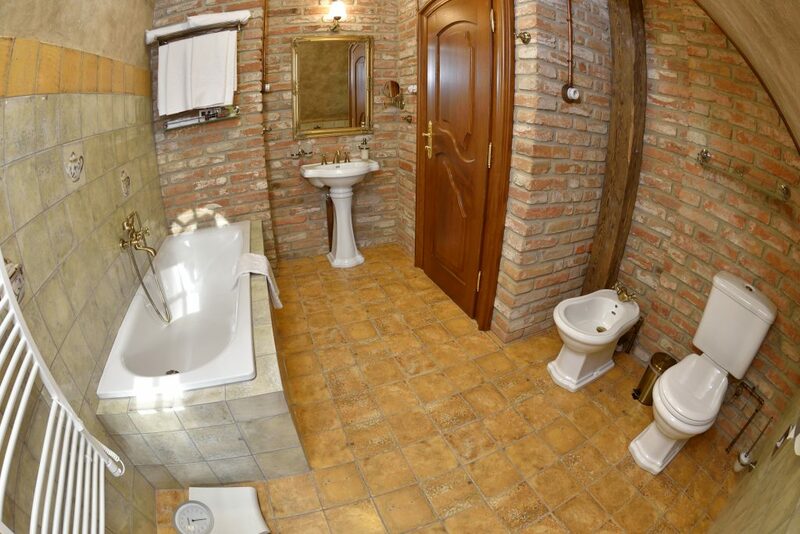 In all maisonette suites the dayroom, main bedroom with matrimonial bed, bedroom on the floor with two separate beds and bathroom with bathtub, toilet, bidet and in one apartment also with shower cubicle are found. The wifi Internet connection, telephone, TV-set, mini-bar, safe, work table and a seating with conference little table are available to the visitors. Besides the stated matrimonial bed and two separate beds there is a possibility to ask for two extra bed or baby bed. 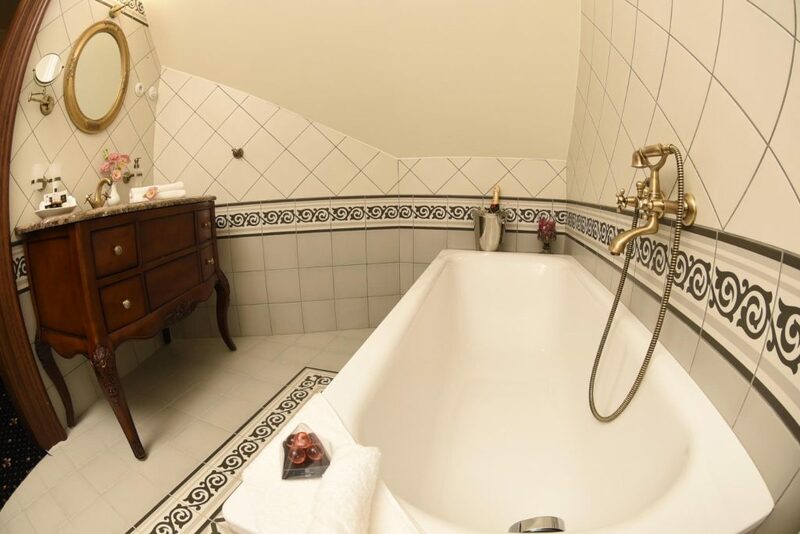 In the price of room the breakfast in Rosalia restaurant, mineral water, welcome drink and entry into wellness (swimming pool, hydromassage bath-tub, steam sauna, Finnish sauna, relaxation room and fitness) are included. 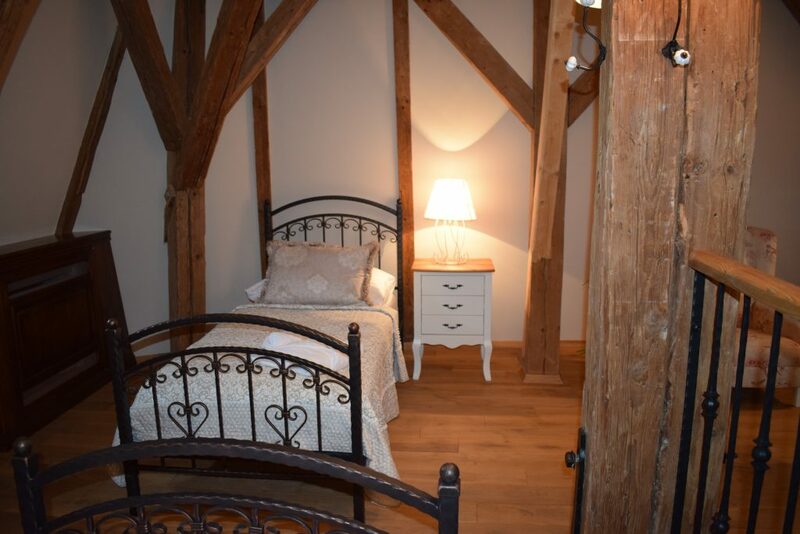 The above-mentioned is provided also to the visitors accommodated on the extra bed. 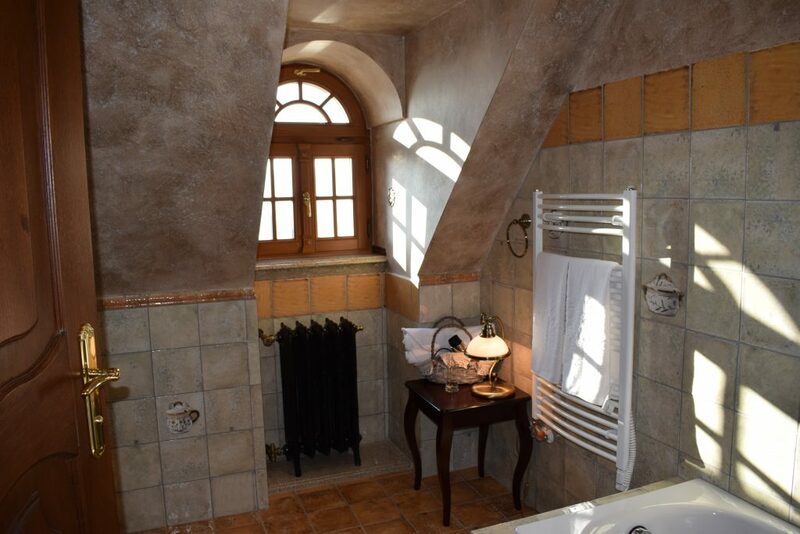 The JULIANA TERÉZIA maisonette suite is found on the second floor in the south-west castle tower. 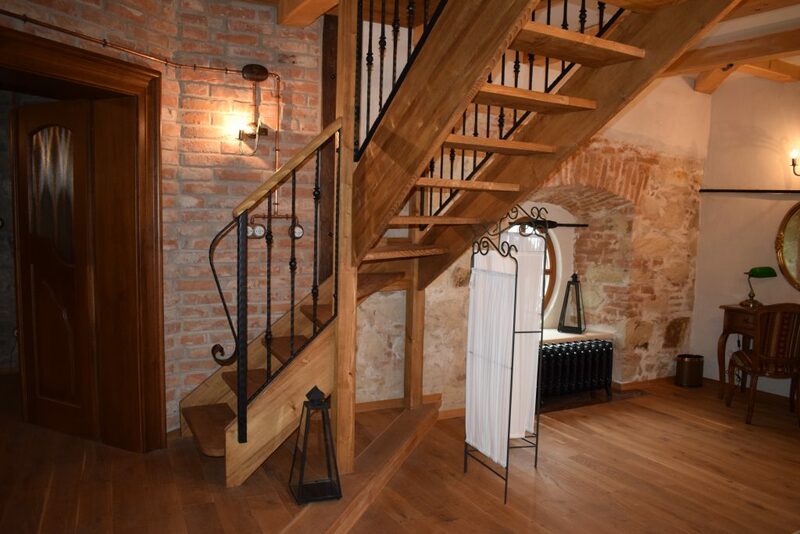 The stairway from main bedroom leads up to the loft part of castle tower, which is characterized by traditional wooden tie beams, repaired and strengthened during the reconstruction of castle. 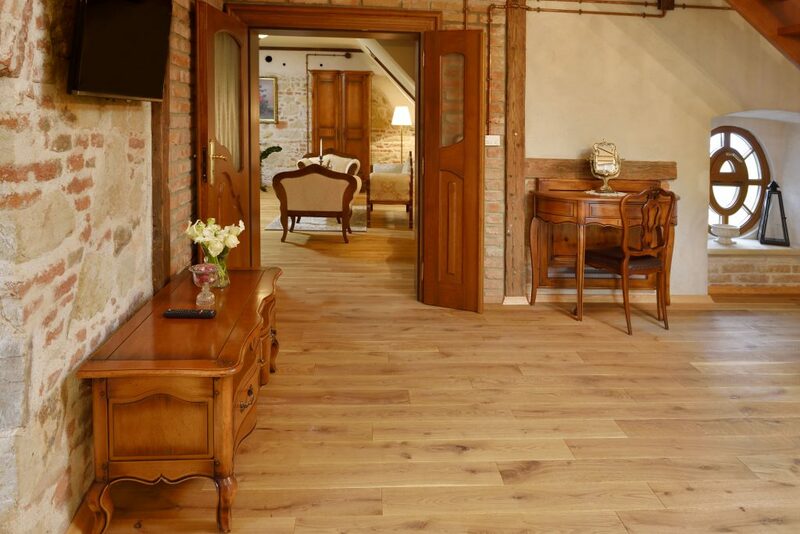 The Provençal style perfectly underlines the spacious and sunny space of the two-storey suite. 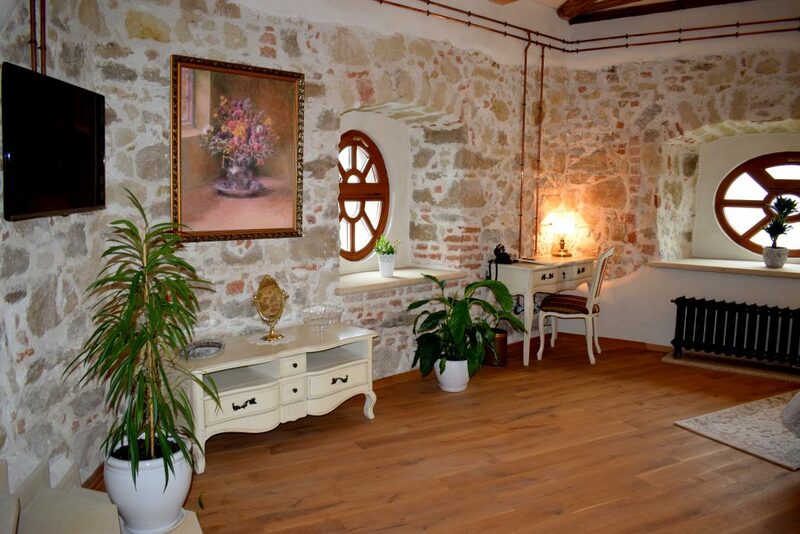 Spacious suite, stone and brick walls, traditional wooden beams, forged beds and furnishings in pleasant undisturbing colours guarantee to the guests a calm atmosphere and they provide a possibility to recede from rush of everyday obligations. 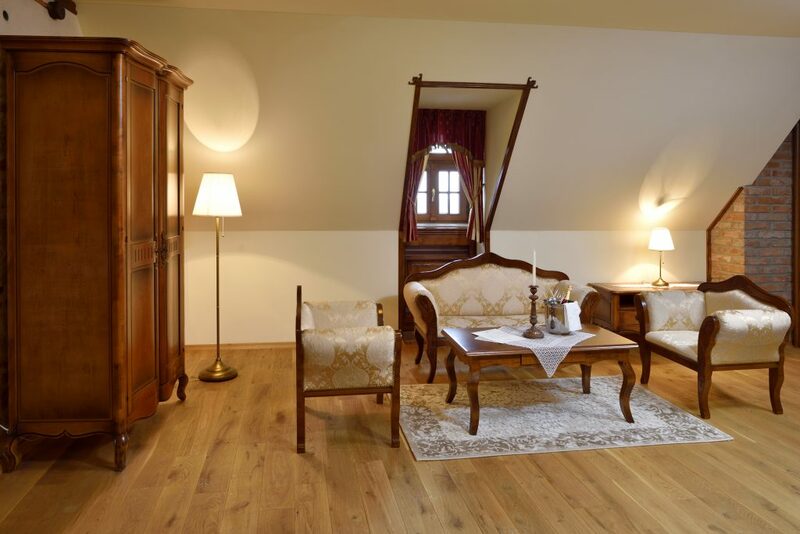 The JOHN MICHAEL FORGACH maisonette suite is situated on the second floor in central tower of the north-east castle wing. Already the first step into the entry lobby of the suite evokes a desire to ascertain what is in hiding beyond further door. And in fact an extended and cosy room is found beyond it that is interesting with its hexagonal ground plan. 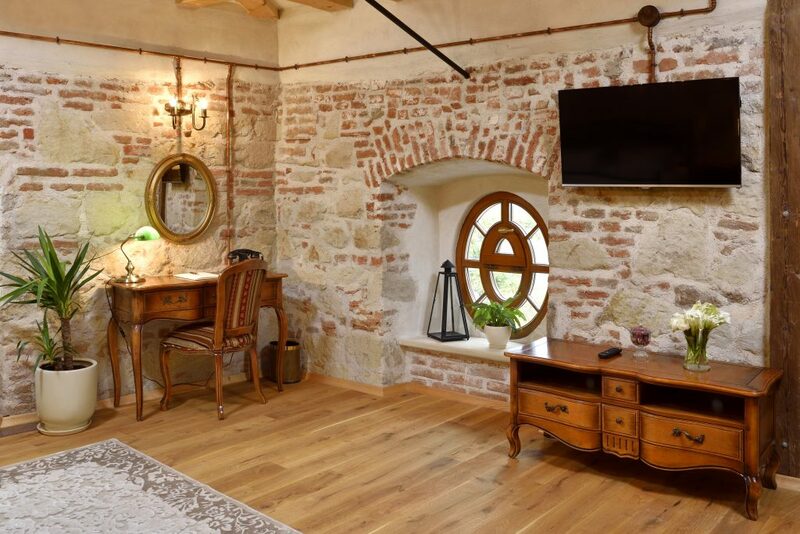 In spite of firm stone castle walls thanks to roomy and light space is a pleasantly gratifying atmosphere in the suite. 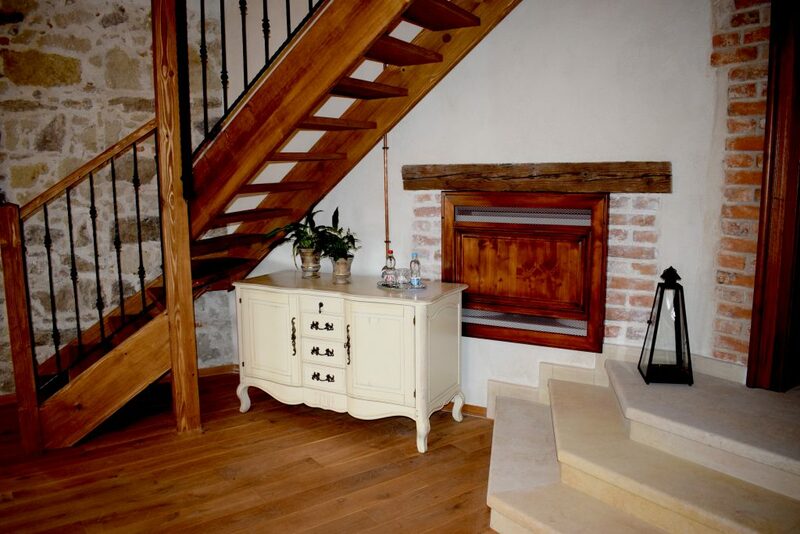 A wooden broken stairway leads up to the second bedroom which is situated on the highest floor of the castle tower. 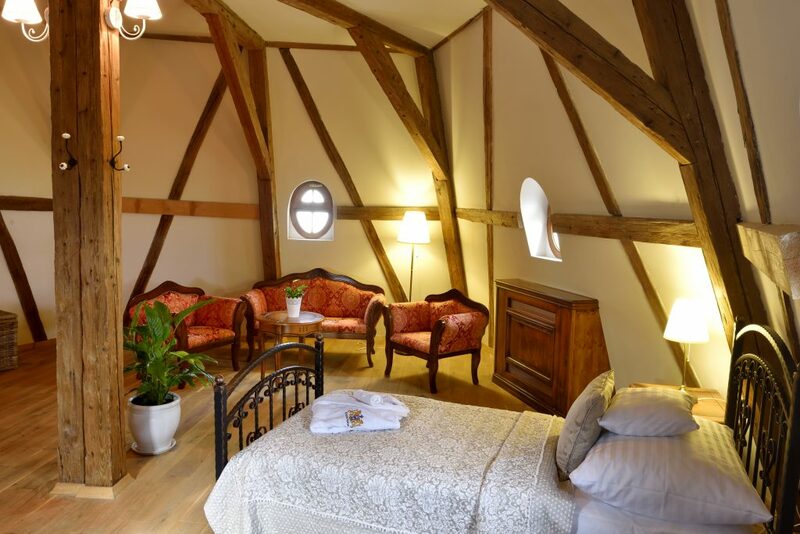 The renovated wooden tie beams and the light passing through cleverly set roof windows complete its interior. 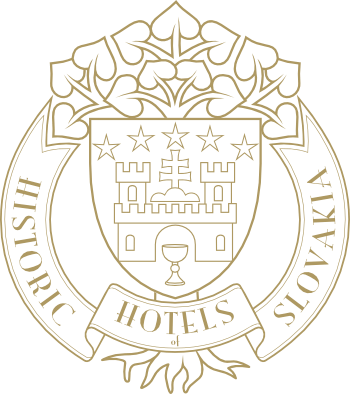 Thanks to the protruding location of tower from castle wing and to specific ground plan a beautiful view into the distances of the South-Slovak hollow on the east, on slopes of the Revúcka highlands at the north and of Cerová highlands at the south is offered. A light and air space of the apartment, pleasant furnishings in Provençal style and an impressive outlook add an unmistakable feeling of calmness and freedom to this place. 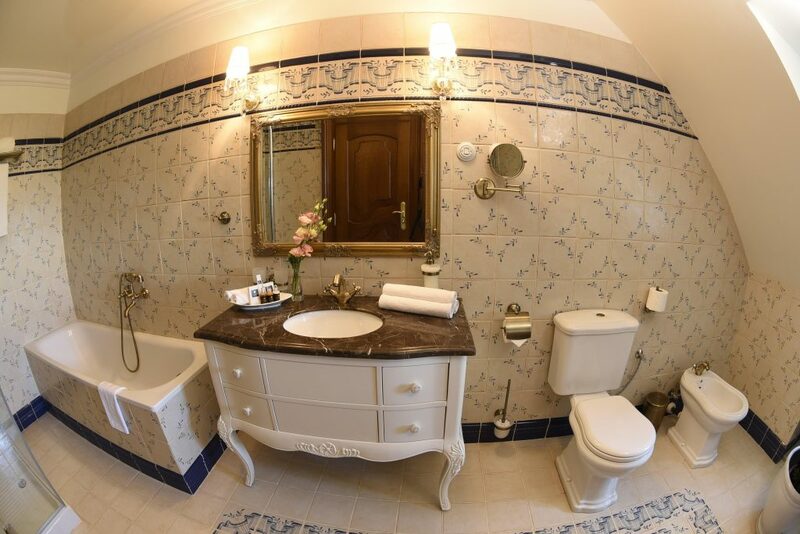 The IVANA maisonette suite furnished in Tuscan style is as for the extent the largest maisonette suite in the castle. A calmness radiating also of equipment rules here in which the natural colours and materials prevail. 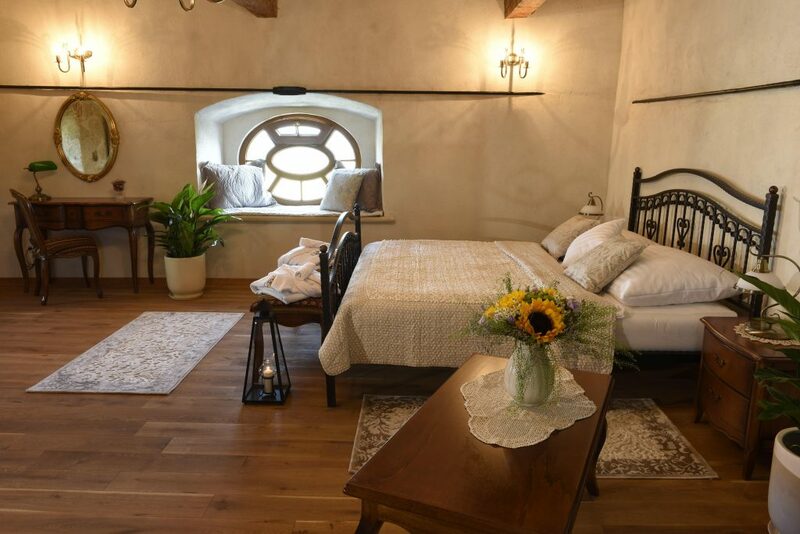 The suite is situated on the second floor in border part of castle wing and in the frontal castle tower that protects the castle from the south-east side. 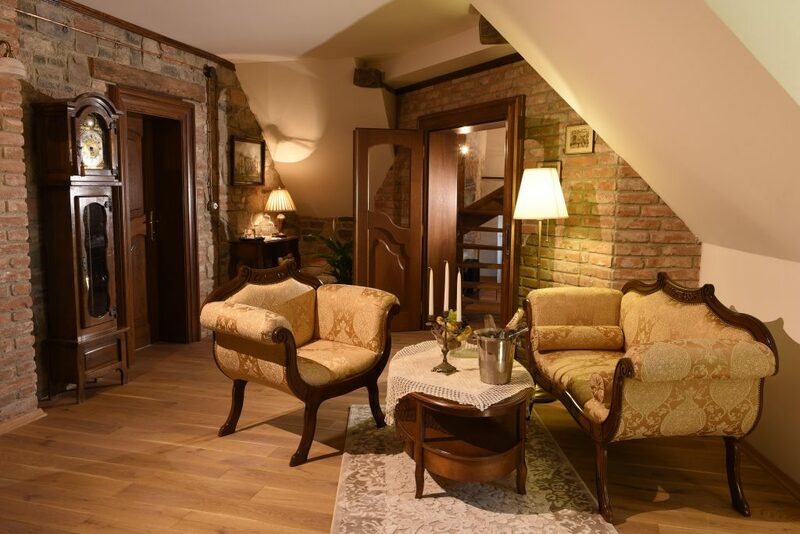 On the bottom floor of the apartment there is an extended living room, the castle character of which the renovated stone and brick walls, oblique attic walls and tasteful furnishings of natural materials hit the nail on the head. 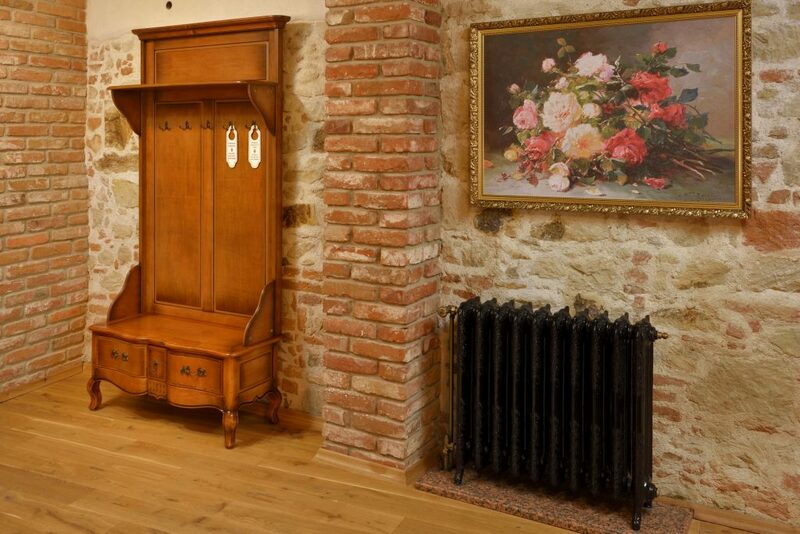 A passage leads up to bedroom from living room which is found in the tower part of apartment. 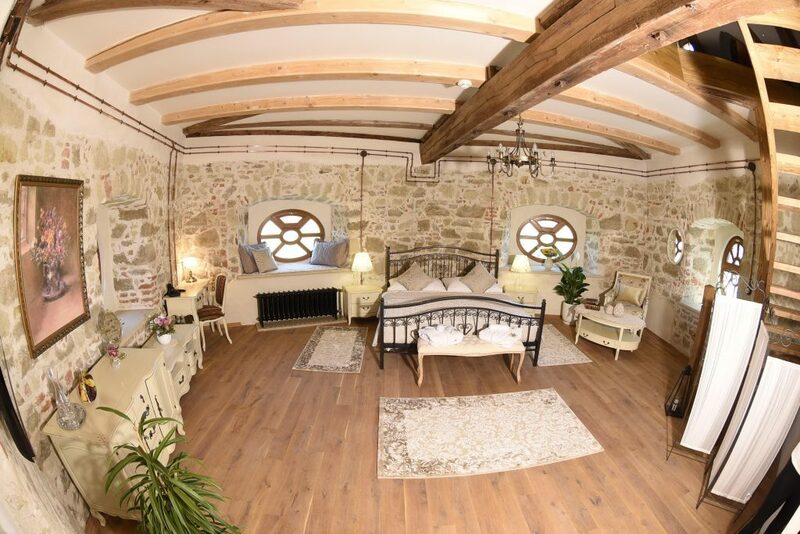 The windows set in romantic arched recesses offer a calming view of vast territory of South-Slovak hollow and surrounding mountain ranges. 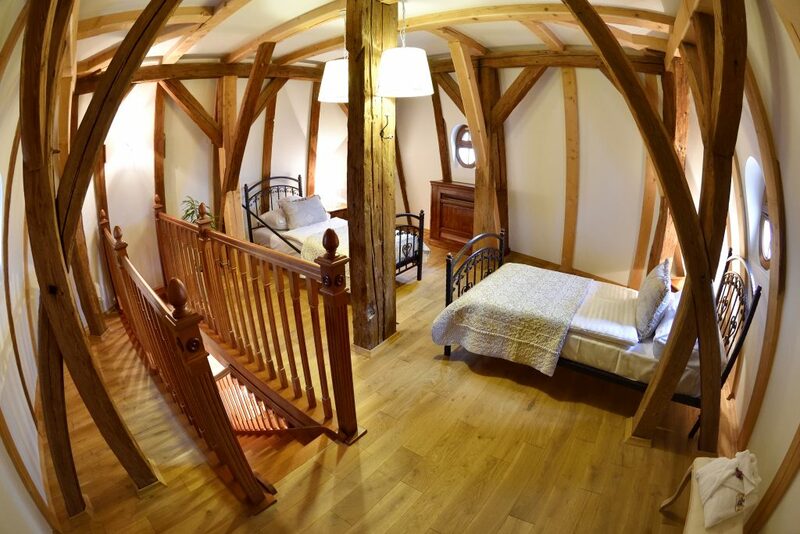 A wooden broken stairway with forged handrail leads up to bedroom on the floor from the main bedroom. 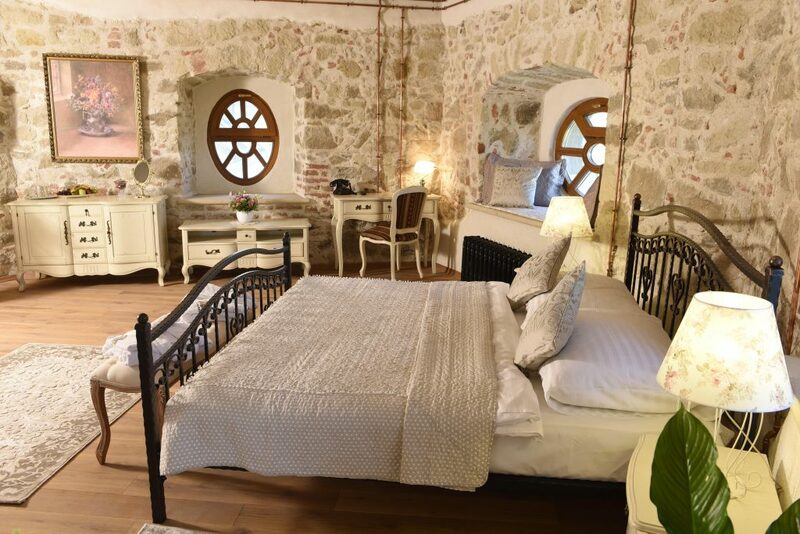 In this bedroom the traditional forged beds and a seating with flower motive in fine colours are found that are typical for the Tuscan style. 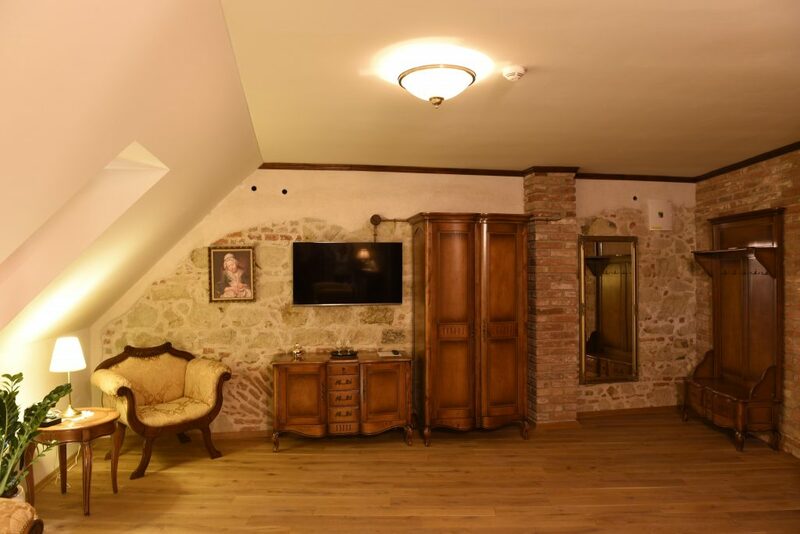 The original style of Tuscan interior has a low ceiling, it is small and dark what the strengthened wooden tie beams and smaller ellipsoidal roof windows underline in this bedroom.